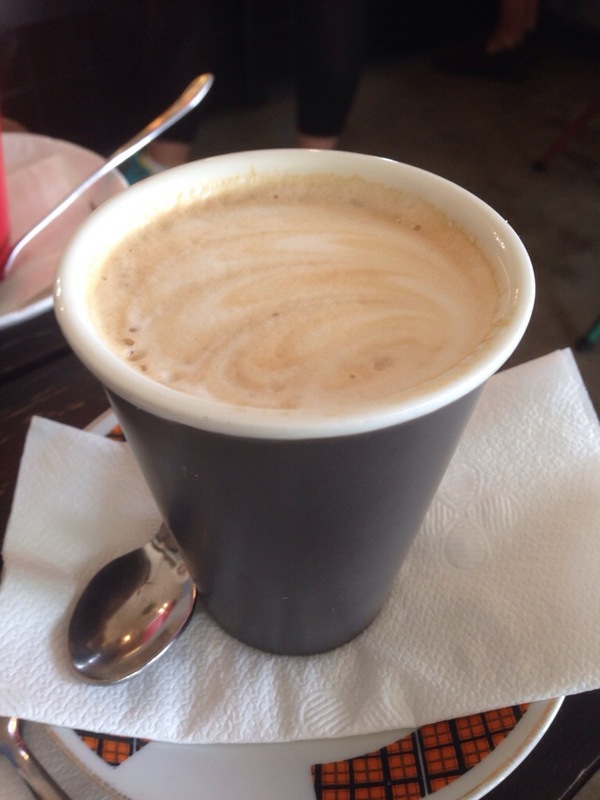 Piccolos Corner is a suburban haven in West Leederville that we’ve really loved on a previous visit and have been really looking forward to heading back to. They were already busy on a Sunday morning and we loved all the locals milling around and having a chat outside. Piccolos Corner really has built up that community spirit they’re after with their little ‘corner store’. We started with coffees, the perfect way to begin a Sunday morning. The coffee here is pretty decent and they were kind enough to give us seconds on the house because there was a bit of a wait for the food. We’d expected the wait because it was a Sunday and were really impressed by their generous offer. 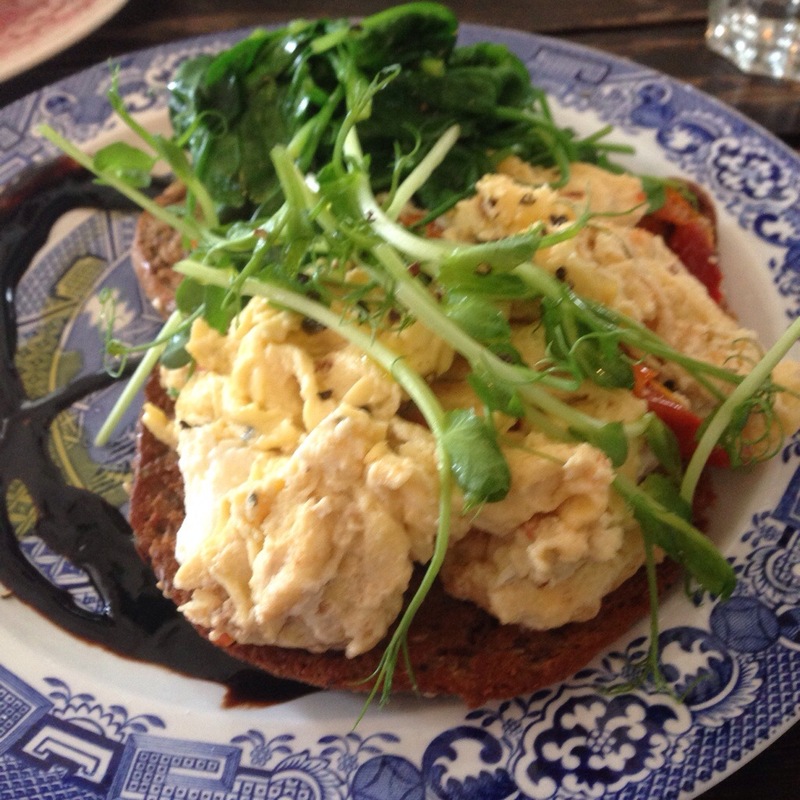 Out first dish was the sun-dried tomatoes and scrambled eggs. The eggs were nice and creamy and the tomato had a good flavour but wasn’t that prominent. We found the balsamic glaze to be a bit overpowering but overall this was a good breakfast option. 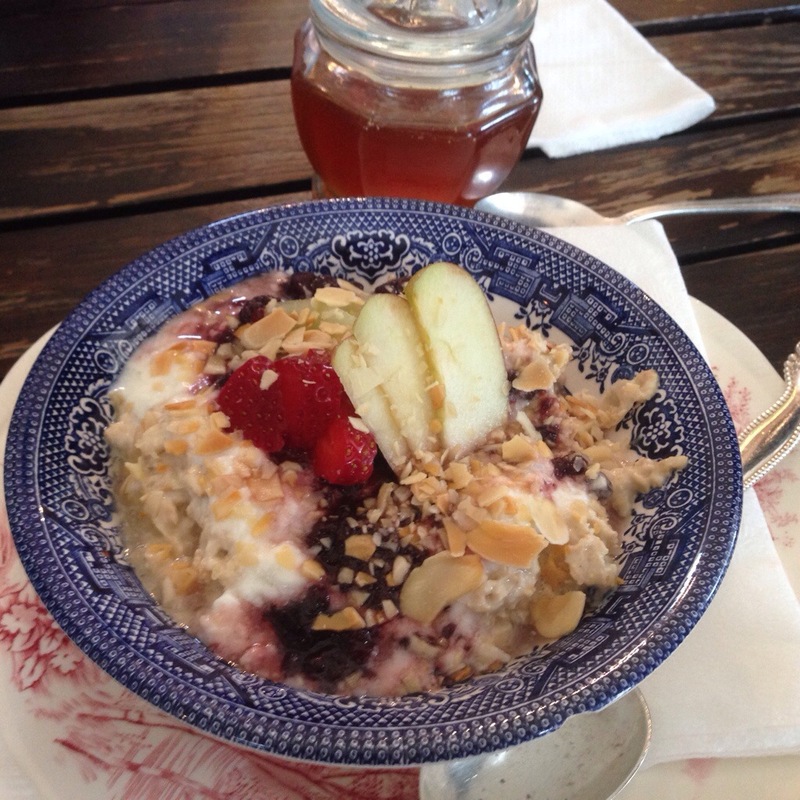 We also tried their bircher museli and were once again impressed by their service, especially now the cafe was completely full with a wait for table. The waitress unprompted asked if I would like some honey and returned with a marvelous little jar containing the sweet, sticky honey. The museli had lots of interesting things in it, the apple and berry coulis were favourites creating an interesting texture and balancing the sweetness out. This was a yummy and filling way to start the day. Piccolos Corner continues to impress! If you want delicious and interesting food with service that makes you feel part of the family you will certainly find it here! Previous PostThe Dollars and Cents: What it really costs to eat out for breakfast in Perth!